Choose From Our Wide Selection of Lab Tables: Shop Now! 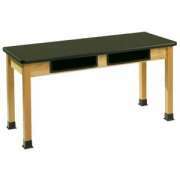 Hertz Furniture makes it easy to outfit a school science lab with affordable lab tables. We offer a variety of styles with chemically-resistant, easy to clean surfaces. Our extended warranty guarantees your students many years of experimentation and hands-on learning. 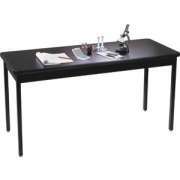 What are the benefits of chemical resistant science tables? 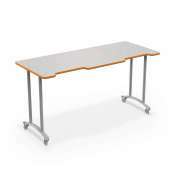 Science lab tables with chemical-resistant table tops provide excellent work surfaces during laboratory sessions. Hertz Furniture&apos;s Chemsurf® tables can resist harsh acids, bases and solvents. We have a wide selection to fit your school&apos;s needs and budget. 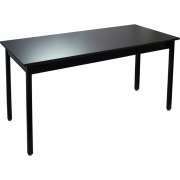 What is the best surface material for lab tables? 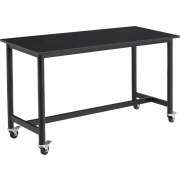 When choosing a science lab table, it is important to pay attention to the surface material. Because harsh materials are used for experiments, a lab must be furnished with furniture that is specifically designed for these purposes. Unlike regular tables, Hertz&apos;s Furniture&apos;s science tables are designed with hands-on experiments in mind, so they won&apos;t get damaged by chemicals. We have lab tables in a variety of sizes, with three different surface materials, so you can choose the combination of features that suits young scientists. Lab table selection should be based on a number of factors. Firstly, the kinds of experiments that they are needed for must be considered. There are a number of work surface materials that are appropriate for science classrooms, but the optimal choice depends on the nature of your experiments. All of the models offered by Hertz Furniture feature basic chemical resistance, but they differ in their resistance to heat and harsher chemicals. While the price of a less resistant table might seem appealing, it is important to purchase lab tables with a surface that is appropriate for the experimentation that takes place in your science lab. The most basic lab tables have Chem-Res tops. These surfaces resist most chemicals and stains, but their resistance to high temperatures and severe chemicals is limited. 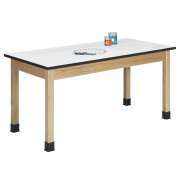 Therefore, Chem-res science lab tables are a good choice for science classrooms which don&apos;t use extreme heat or severe chemicals. For a science lab that hosts experiments with more severe chemicals, Trespa TopLab Plus solid phenolic work surfaces are a great option. This surface material is highly impervious to normal laboratory heat and moisture as well as most chemicals, acids and stains. However, its resistance to heat is limited. Solid epoxy resin tops provide maximum durability. Lab tables with solid epoxy resin tops are resistant to virtually anything young scientists can throw at or spill on them. They are completely impenetrable to most chemicals and acids as well as normal laboratory heat and moisture. They show no effects when subjected to the following chemicals: Hydrochloric Acid 20%, Sulfuric Acid 60%, Methyl Alcohol, Nitric Acid 70%, Benzene, Toluene and many more. 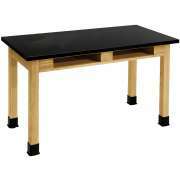 What size science lab tables should I get? In addition to selecting an appropriate work surface material for lab tables, size should also be considered. Depending on your student population and laboratory layout, you may prefer to have more smaller tables or fewer tables that are larger. 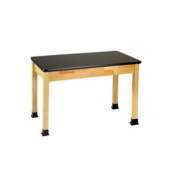 Hertz Furniture features a wide selection of table sizes in ChemRes, Trespa TopLab Plus and solid epoxy resin as well. How can I get ADA-compliant lab tables? Lab tables with adjustable-height legs are the best option for ADA compliance. 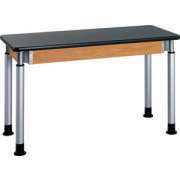 Adjustable-height tables accommodate students of different heights as well. They are also an excellent choice for physics labs, as legs can be adjusted separately to create a built-in incline. Where can students store their books during lab experiments? When conducting experiments, it&apos;s important to make sure that work surfaces are clean. Clean work surfaces ensure maximum safety and prevent damage to personal belongings. Bookboxes provide an excellent space for school materials that are not needed during experiments, so work surfaces can stay free of clutter. Many of our science lab tables feature built-in book compartments so students can safely store their notebooks and school supplies, while keeping them on hand if needed. 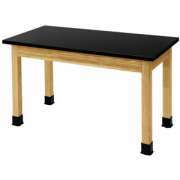 Most lab tables feature protective rubber glides which prevent chemical damage to legs. Tables with Chem-Res tops feature adjustable glides. Solid epoxy resin and TopLab Plus tables have non-adjustable glides. With so many features to keep in mind, it can be dizzying to think about selecting lab tables. The Hertz Project Solutions team is here to help you select which of our top-quality models is right for your space and purposes. With such a wide selection of lab tables, you are sure to find the perfect combination of size, surface material and features for your school.